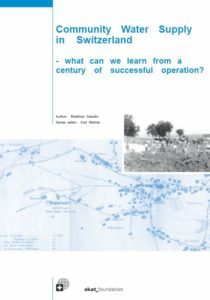 It’s Skat’s 40th anniversary and we are taking the opportunity to give you an insight into the history and development of Skat-from a Resource Centre to a consulting company- in 40 years development cooperation. We are grateful for all the years working successfully in the sector, in close cooperation with our partners and clients to improve the lives of people living in poverty. On this page, we are highlighting some of our milestones, our expertise, our experience and more to mark the 40 years of Skat. Look back and ahead with us! In 2001 Skat’s Board of Directors decided to set up the Skat Foundation together with the NGOS Helvetas, Caritas, and Swisscontact. The Skat Foundation is a non-profit institution for sharing and disseminating Skat’s longstanding knowledge and experience with partners in the developing world in a professional manner, and for initiating new activities to promote the exchange of knowledge and experience in development cooperation. Skats anniversary brochure provides an exciting insight into Skats areas of work through the voice of former and current team members. Read about 40 years development cooperation by Urs Heierli and Karl Wehrle who shaped what Skat is today and get an overview about the Strategy 2022 by the Manager of Skat, Jürg Christen, which will guide Skats work in the coming years. Matthias Saladin conducted a study which resulted in the publication “Community Water Supply in Switzerland” in 2003. The AGUASAN group, based in Switzerland, is one of the oldest existing sector specific Community of Practice on the Swiss development scene. It builds on committed sector professionals from various specialized institutions involved in development cooperation, humanitarian aid and research. 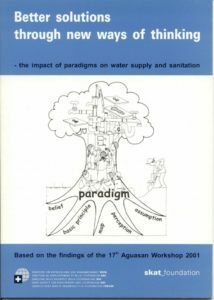 Since 1984, AGUASAN has provided a vibrant and most pertinent exchange platform and think-tank serving the water sector, and constitutes an essential link in the innovation and knowledge management strategy of the Swiss Agency for Development and Cooperation (SDC).